It is awful that people need to go through this fear. Nobody deserves to be afraid to leave their homes for fear of “looking visibly Muslim”. 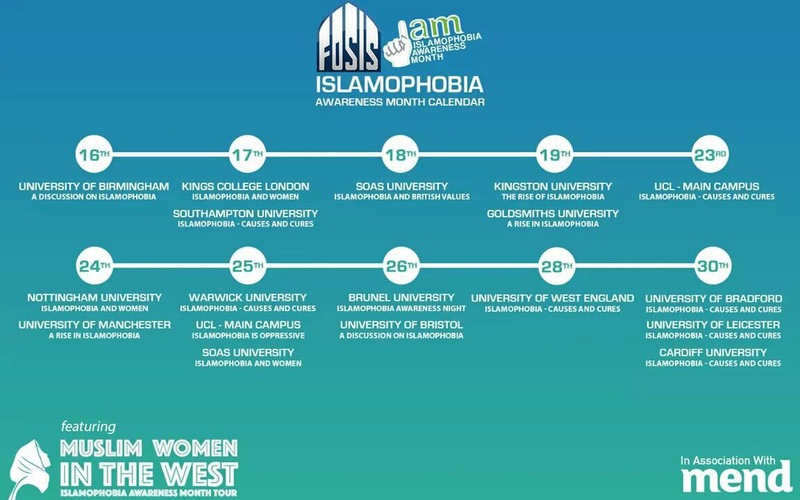 It is Islamophobia Awareness Month, I ask that you be considerate of your thoughts and actions. Not just this month, but always. #IAM standing in solidarity with you. I am so disgusted in the human race right now. I cannot believe that we have resorted to allowing Muslim people to be treated so violently. There are people of every colour and every creed who are bigoted and violent towards others. Then there are people who are not. I just want to extend myself to you in this time of sadness to let you know there is hope and you are not alone in your struggles. I can never know how you feel, but I can stand beside you. Islam is not terror and is not something the western community should fear!!! My words might be meaningless but I hope you take one drop of kindness in the sea of fear and hold on to it. Know that I’m out here – I’m white, I’m American, I’m Christian – and I love you. I love Islam. And there are so many more like me! We just need to get as loud as those filled with fear and hate. Anyway – stay safe! Allah walks with you wherever you go. Thank you for those kind words. That means a lot! It’s horrible and is so narrow minded the whole attitude! Why assume what you don’t consider the blame to be ever true for yourself? People need to realise that Muslims are not confined to the IS or the Taliban. We’re as human as the next person waiting for the train.